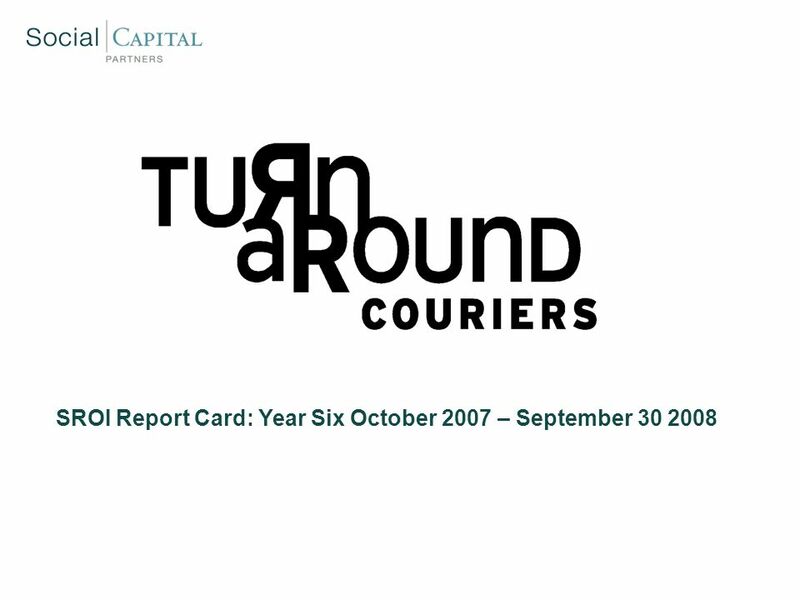 SROI Report Card: Year Six October 2007 – September 30 2008. Download ppt "SROI Report Card: Year Six October 2007 – September 30 2008." SROI Report Card Year 8: Oct 09 – Sep 10. 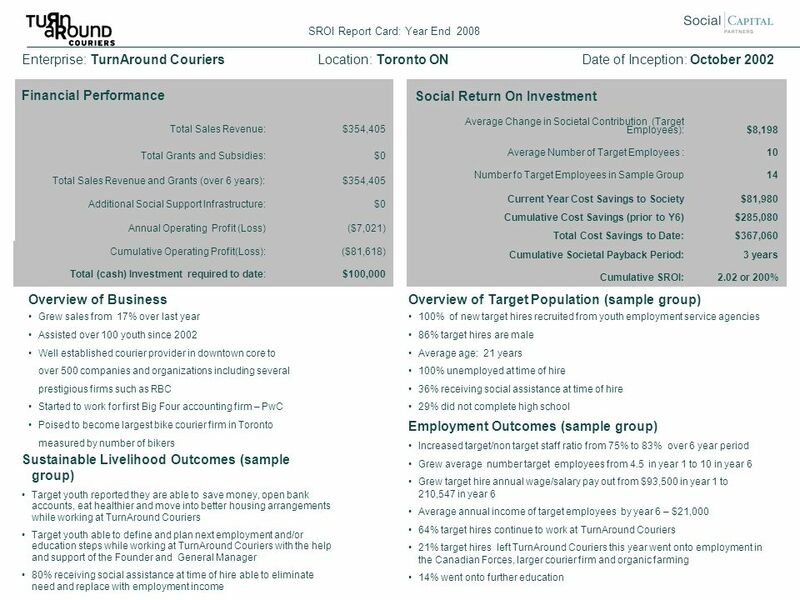 Social Mission Overview SROI Report Card: Year End 2010 GoalsMethodsSuccess Metrics Hire couriers and office. Welcome. Miziwe Biik Welcomes You Background The need to provide employment and training services and programs to Aboriginal people in the Greater Toronto. © The McGraw-Hill Companies, Inc., 2002 McGraw-Hill/Irwin Rewarding Business Performance Chapter 24. 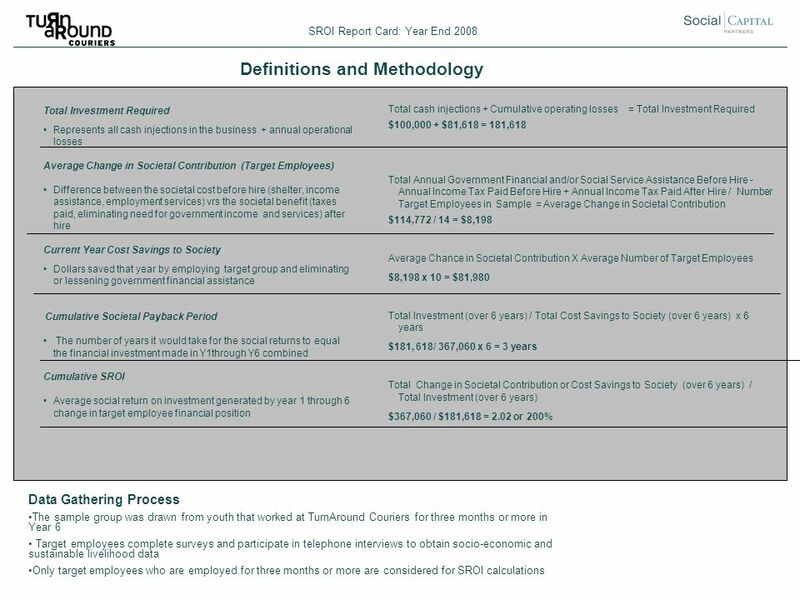 SROI Report Cards: Years Ending July 31, 2003 July 31, 2004 July 31, 2005 July 31, 2007 (two year report) July 31, 2008 July 31, 2009. Employer Compensation ICESR 2 August 2013 Lieutenant Colonel Steve Caldwell Reserve Forces and Cadets GBR Ministry of Defence. 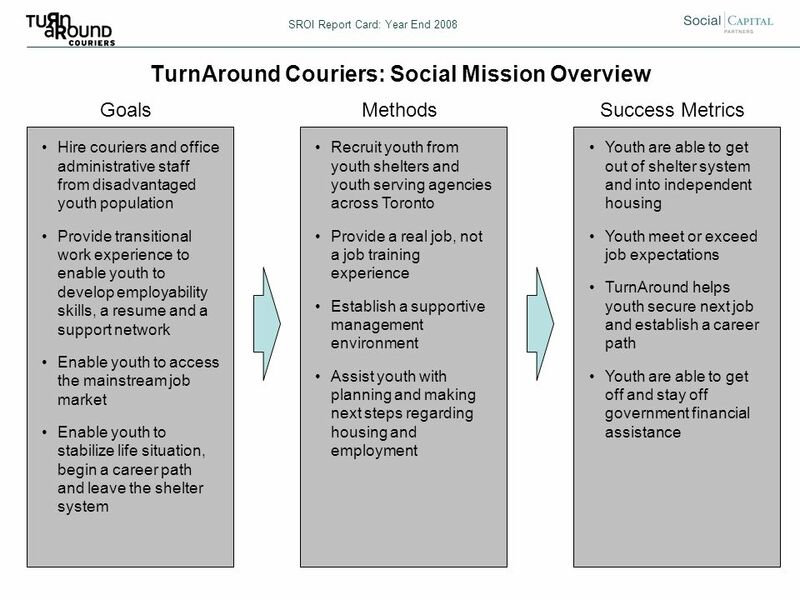 Crisis Shelter Program GOALS To stabilize youth and families in crisis To develop stable living conditions for youth To engage families in the resolution. How to comply with the SF Transit Benefit Ordinance. Topic 13. Employee Benefit Plans BUS 200 Introduction to Risk Management and Insurance Jin Park.